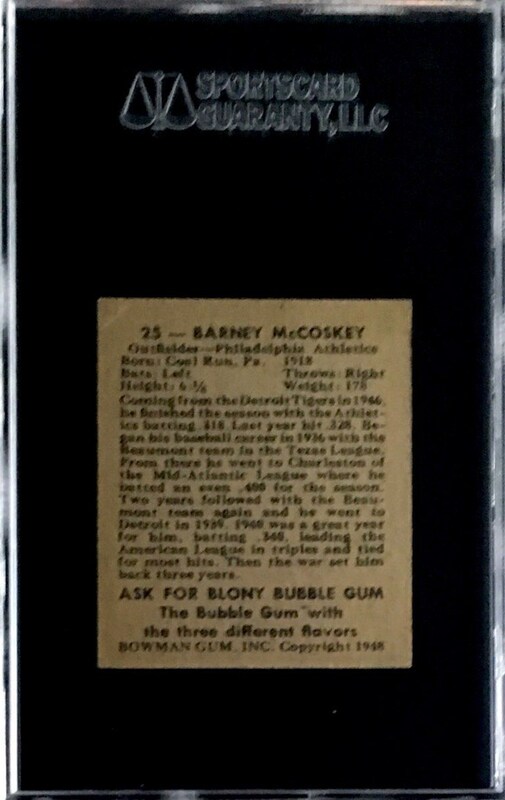 Up for your consideration is a 1948 Bowman #25 Barney McCoskey card. In an 11-season career, McCosky was a .312 hitter and a strong fielder in the outfield. 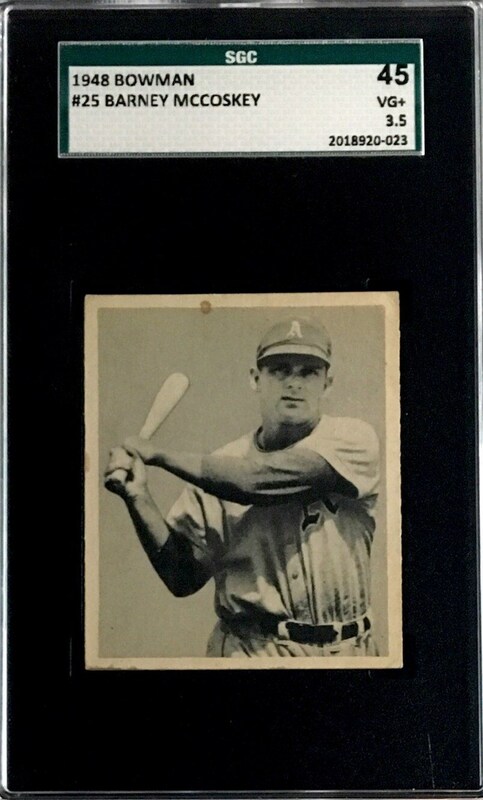 For sale here is a nice example with good centering and a strong image. The card has been graded an SGC 45.